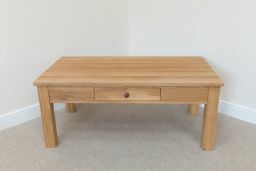 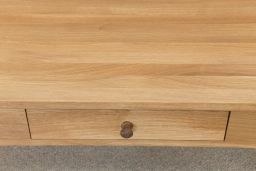 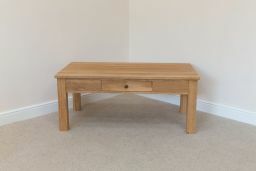 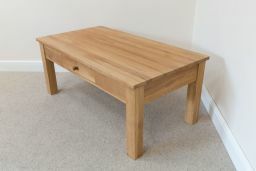 Baltic large solid oak coffee table with drawer. 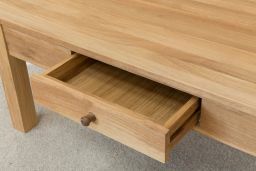 Made from premium Baltic oak with a lightly oiled natural finish. 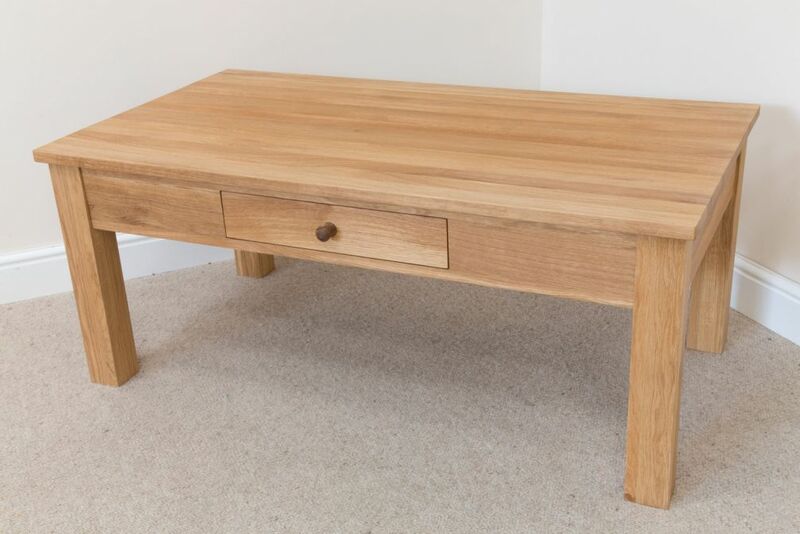 One of the finest solid oak coffee tables you will find in the UK that is made exclusively for Top Furniture in Lithuania - MADE IN EUROPE.